After I finished teaching classes the other night I was sitting in my girlfriend’s bedroom as we each told each other about our day. She is a Middle School English teacher at a school in Delaware where she instructs special needs children. I own a small Mixed Martial Arts studio in Voorhees where I teach classes close to 40 hours a week. I told her about how great I felt during our Muay Thai sparring rounds, then I did my best to listen as she told me about one of her more troublesome students. This boy had been removed from her classroom to attend to his coursework in a virtual environment. I listened to her for a few minutes before stopping her to ask why she hadn’t told me that this child had become such a disruption. She laughed and grabbed me by the hands. 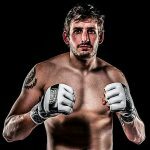 I first started my mixed martial arts training at the age of 18 immediately upon graduating high school. I was a mediocre Junior Varsity wrestler looking for something to keep me out of trouble rather than follow the troublesome path that so many of my friends were walking towards. In July of 2006 I walked into Evo Fight Club in Vineland, N.J., and paid for my first month of classes. 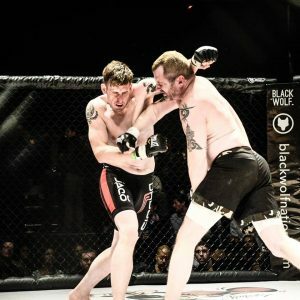 Since then I have trained with some of the toughest male and female martial artists in the Northeast including several fighters who are currently in the UFC and plenty more who were talented enough to fight under those bright lights. I’ve even been lucky enough to be involved in the training camps of these fighters. I have the distinct honor of being able to say that I have been punched in the face by a handful of elite fighters. I also have the privilege of having been concussed a minimum of 11 times since 2006. I would estimate that I have encountered between 11 and 15 major concussions in the 15 years I have been training martial arts. I can remember most of the concussions and the bright white light that consumed my vision when they occurred. I most clearly remember walking around the parking lot of the 2300 Arena asking my roommate where I had parked the car an hour after Brian “BDot” Jones dropped me twice in the first round in June of 2014. I believe I asked him 12 times before he was finally able to convince me that he had driven me to the fight and that my car was still at our apartment. Actually.. Nevermind. I can’t remember most of those concussions. I can remember only bits and pieces throughout the years. In fact lately I’ve been having a hard time trying to remember what used to be easily retrievable. Instead I can do a much better job of telling you what I can’t remember. I can’t remember whether or not I told my sister about the upcoming schedule changes that are due to occur at Hands Up Studios. I can’t remember where I left my phone, my keys or my wallet. I forgot that I already brought home a cartoon of eggs yesterday. At this point my students and my friends all tend to laugh a bit whenever it happens. To them I am just a scatter-brained, absent-minded fighter. In reality they are witnessing years of brain damage finally coming to surface and I am afraid that one day they might be subject to the same neurological shortcomings. When I first started training in this sport we were full of bravado and short on common sense. It was not unusual for us to spend hours beating each other around the room with no protective gear other than 4 ounce gloves and a mouth piece. We genuinely thought that the only way to become a better fighter was to spend every training moment fighting at 100%. Having spent the first nine years of my martial arts career in this environment I would estimate that I have been hit in the head well over five thousand times. Many of those hits were given by well trained, competitive amateur and professional fighters. Its no wonder I repeat myself every day. As the Head Coach of Hands Up Studios I have a very challenging job. I have to prepare these young fighters for battle while maintaining their safety. I need them to be able to know what its like to get punched in the head and how to recover from that feeling mid-fight without causing their grey matter to bounce around inside of their skulls. I begin every sparring session with a quick lecture. I tell them everything I am telling you. For now this lecture seems to do the trick. When we spar at my gym I very rarely allow hard contact to the head. I encourage my students to kick each other’s legs and body as hard as they can and I fully expect them to land body shots with devastating power. However when we start talking about my fighters absorbing damage to the brain, I think we need to consider a different approach. Limiting the power shots to the head of a fighter in training camp still helps them focus on their defense. After all a fighter can feel a fist hitting them in the head whether that fist is being thrown at 10% or 100%. When you are hit at 10% you can still internalize the fact that you were hit. You can make adjustments to avoid being hit in the head a second time. You can still learn from whatever caused your opponent to land his shot. You can do all of this and still be able to apply to 10% discount to a product in a store using mental mathematics. Remember this: One day you will retire from competition. You will never retire from reading, writing, speaking, doing your taxes, balancing your checkbook or any of the hundreds of activities that we take for granted daily. Being known as a talented fighter is wonderful. Being able to tie your shoes is infinitely more valuable.